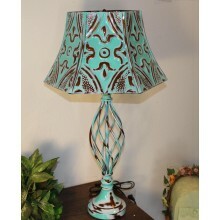 Our Hand Faux Table Lamps are unique. With our new "patent pending" design, you will receive an all metal table lamp that is Ul Listed and Approved. Made in the USA, from real tin ceiling tiles in Palmetto, Florida. Custom order availble in all 80 colors! 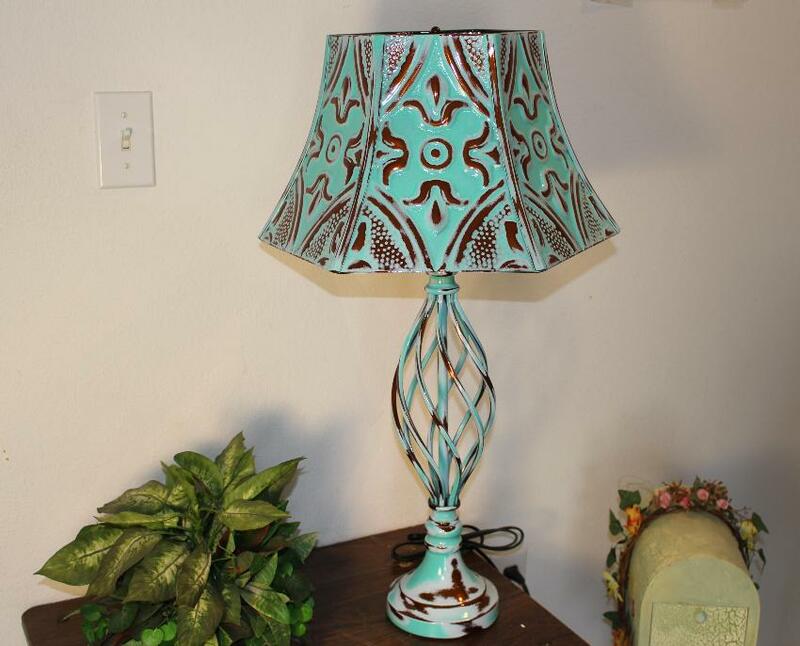 Alaska Hand Faux Tin Ceiling Tile table lamp, Patt..